An essential companion to the survival-horror game The Last of Us! Based on the E3 award-winning video game from developer Naughty Dog. 184 full-color pages of concept art, character designs, landscapes, and more! 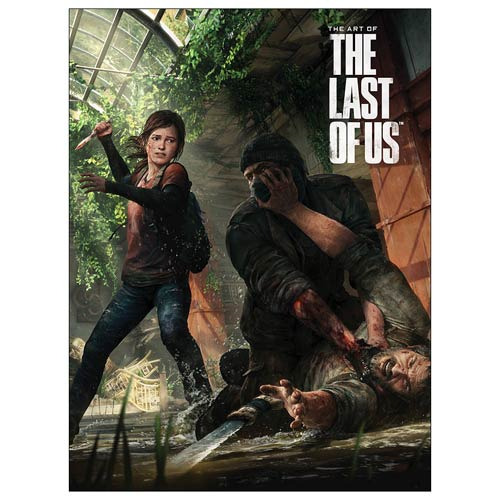 An essential companion to the E3 award-winning survival-horror video game The Last of Us from developer Naughty Dog, The Art of The Last of Us Hardcover Book is as richly detailed and compelling as the video game itself. This hardcover book features concept art, character designs, and astonishing settings and landscapes pulled directly from the game. Measuring 12-inches long x 9-inches tall, The Art of The Last of Us Hardcover Book provides a unique inside look at one of the gaming world's strongest survival-horror games in ages. 184 full-color pages. Ages 15 and up.